Today I made another attempt at tracking down the mysterious “W. 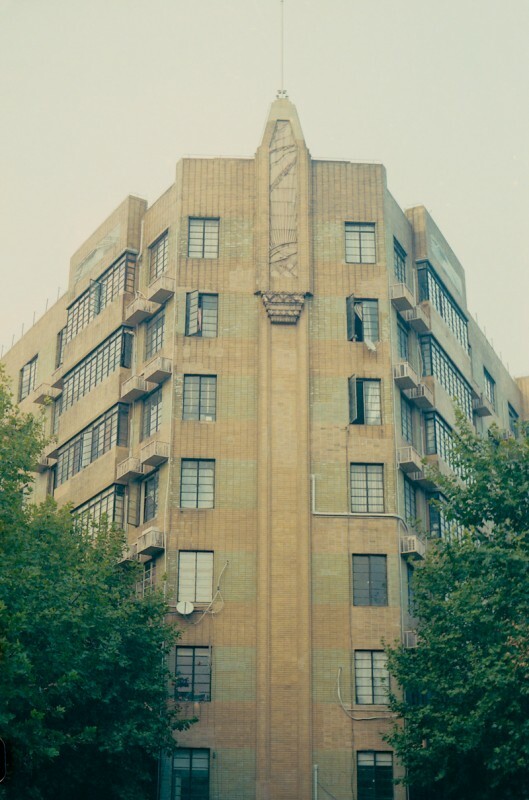 Livin-Goldstaedt,” whose (incorrectly spelled) name is associated with the Astrid Apartments 南昌大楼 on the corner of Nanchang Road 南昌路 (Route Vallon) and Maoming Road 茂名南路 (Rue Cardinal Mercier), and also with King Albert Apartments on South Shaanxi Road 陕西南路 (Avenue de Roi Albert) and Middle Fuxing Road 复兴中路 (Rue Lafayette). An attempt at an alternative spelling, Goldenstaedt, yieled a positive result from the Desk Hong Lists. Then I turned to the Russian and Chinese internet to look for "Гольденштедт" and "戈登士达" and got lucky. Wladimir Goldenstaedt was born in Vladivostok in 1878. 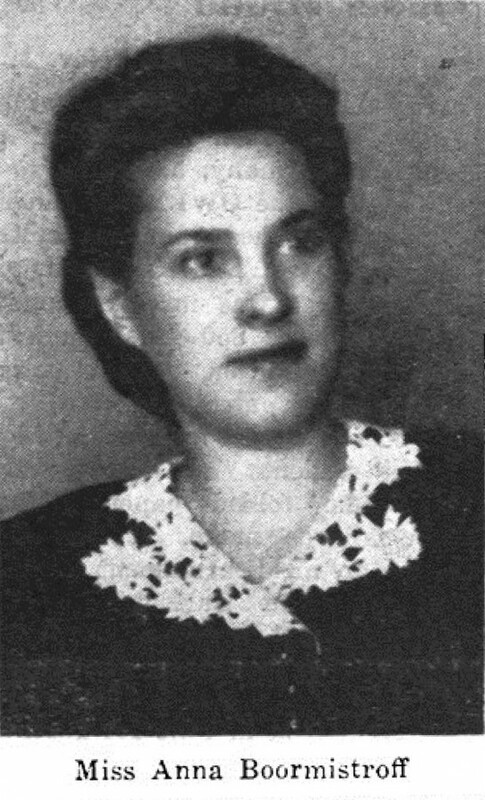 His stepfather, Karl Goldenstaedt, married Wladimir's mother Agafya Livina and applied for a formal adoption of her four children from the previous marriage (Wladimir was six at the time). Goldenstaedt, of German origin, was a dairy farmer and a landowner. 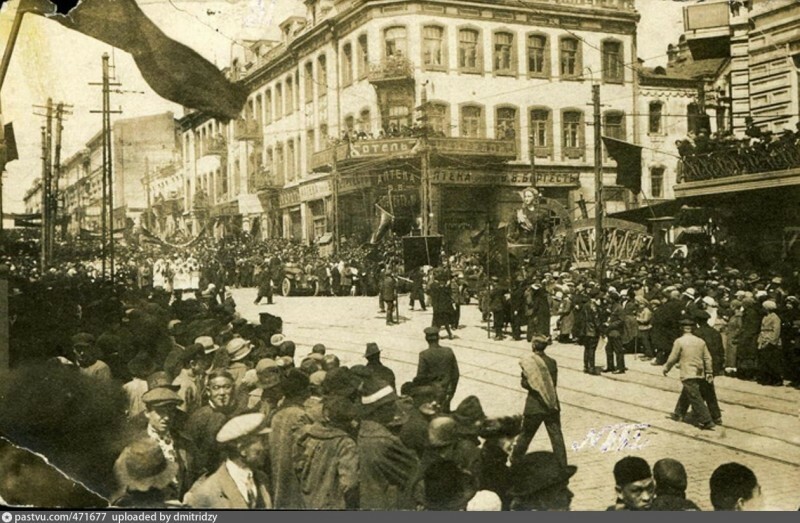 Such naturalized expats were called “Russianized,” to indicate their change of religion. The adoption was approved on the condition that the children remain in the Russian faith and are raised in the Russian tradition. They all assumed their stepfather’s surname, Goldenstaedt, and received good education. UPDATE Jan 11, 2017: A descendant of the family left a comment to clarify the circumstances of the adoption, so I've edited the above paragraph. 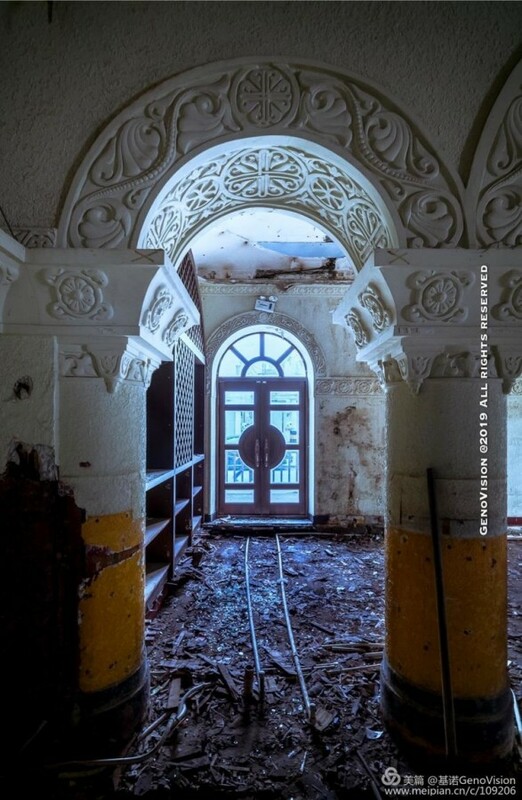 The young Wladimir Goldenstaedt got his degree in architecture from the Institute of Civil Engineers (in Saint Petersburg, as was pointed out in the comments). 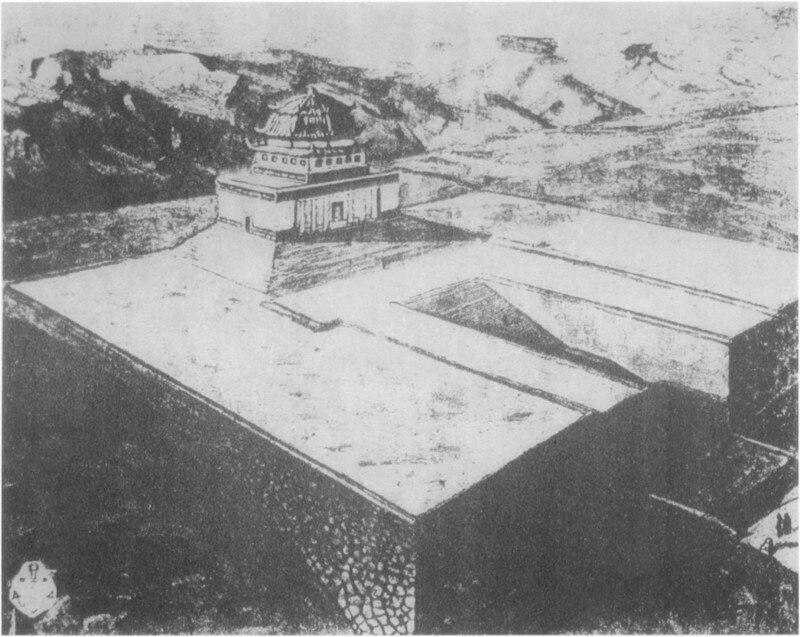 His stepfather bought a piece of land in Vladivstok and Vladimir designed a hotel to build on it, called The Central. Finished in 1907, it became the best hotel in the city. 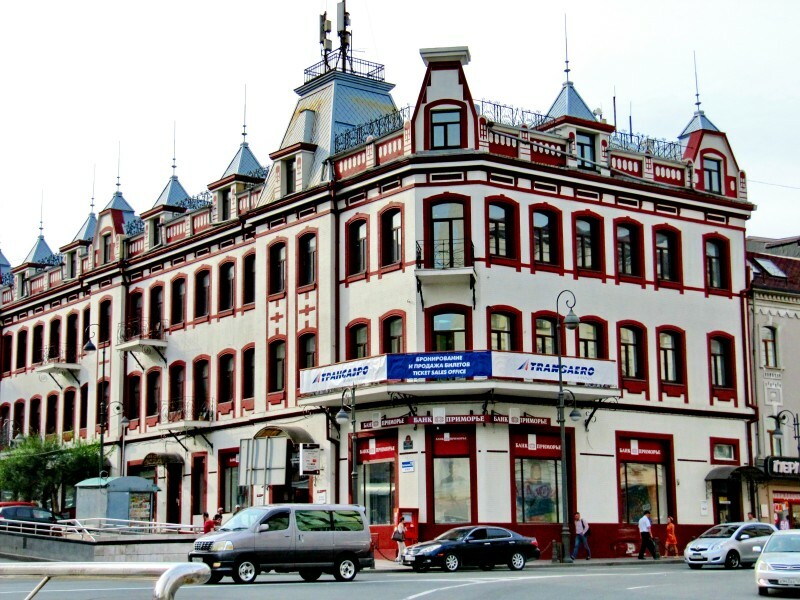 During the 1910s Wladimir Goldenstaedt designed a number of municipal and private buildings in Vladivostok, some of which still stand today. But when the First World War began, a German last name could be damaging to a career, so in 1915 he applied to change it back to Livin, and his request was granted. 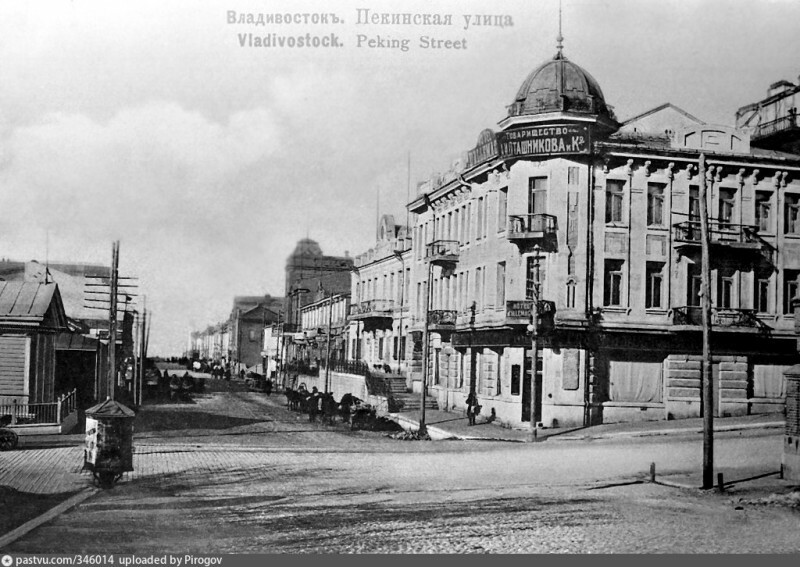 In 1922, when the civil war in Russia ended and the Bolsheviks got hold of the Far East, the architect emigrated to Shanghai and opened an architecture firm. He worked in Shanghai for over fifteen years, under the name W. Livin-Goldenstaedt. 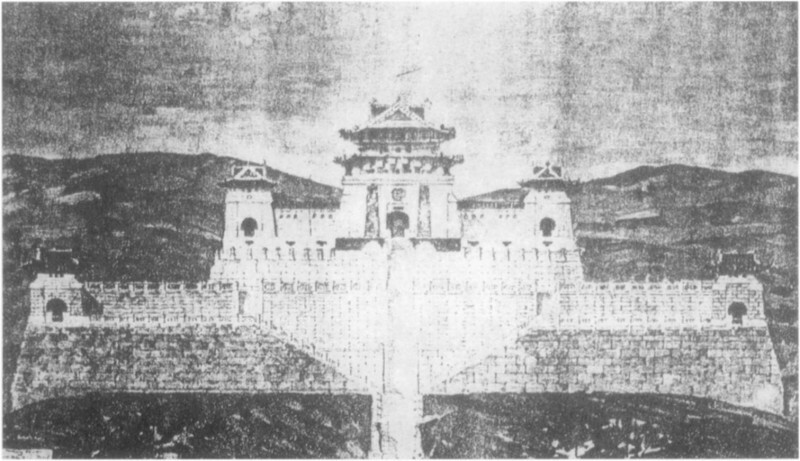 In 1925 Livin-Goldenstaedt submitted several designs to the competition for a memorial to Sun Yatsen in Nanjing, but they did not win the commission, taking the 5th, the 6th and the 7th places. 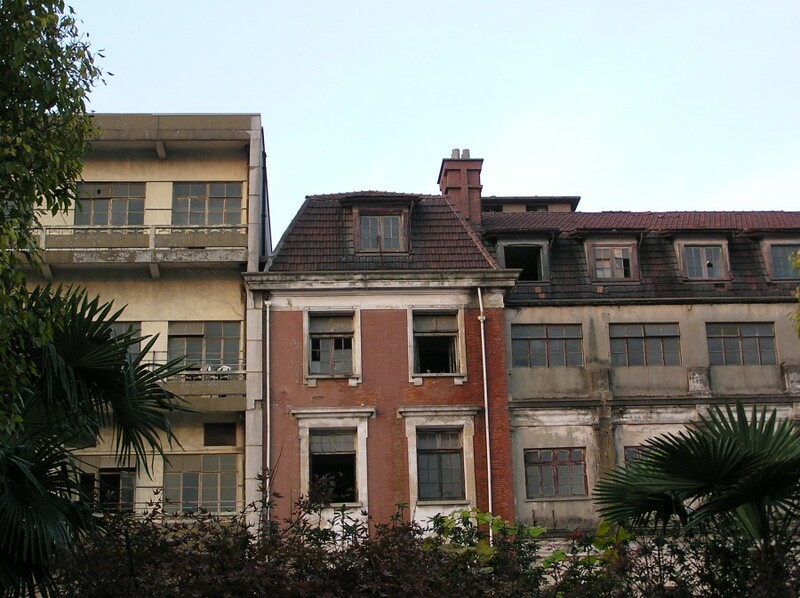 Livin-Goldenstaedt's exact contribution to Shanghai's landscape calls for additional research. 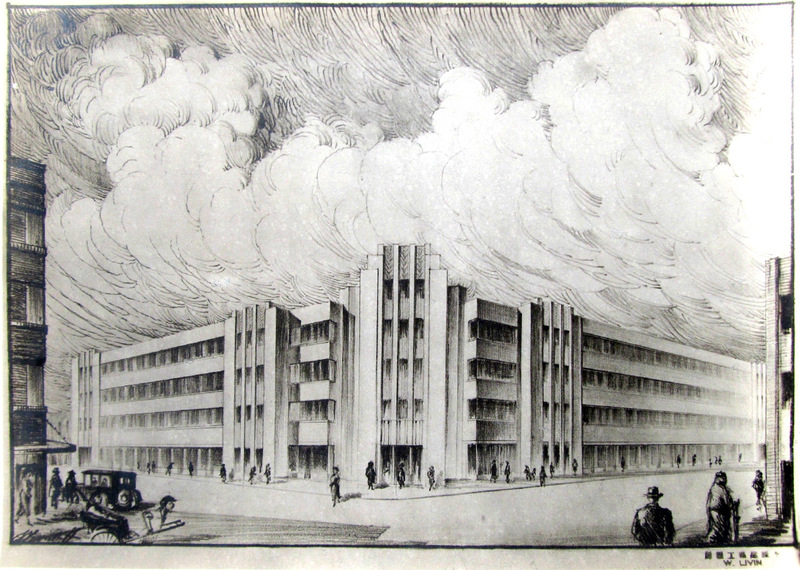 He possibly worked for the Eastern Asia Architects and Engineers Corp. Ltd. until the end of the 1930s. Together with his wife, a daughter and a niece he was living in a lane house on Route Courbet (Fumin Road) as late as 1940. 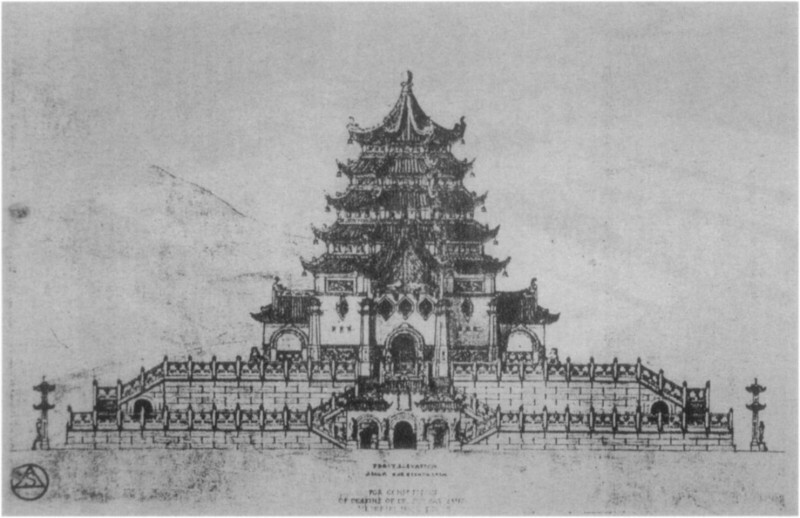 Livin's design that may have been an early design for the Astrid Apartments or another project in Shanghai. UPDATE Nov 2017: Thanks to a recent discussion with Livin's relative trying to track him down, we established that the architect's family succeeded in leaving Shanghai for the USA in 1956 and settled in the state of New York.